We are small but mighty. We have a shared vision for our firm — a dedication to client-oriented service, to practicing law with integrity and professionalism, an insistence on the highest quality work product, and a focus on leveraging more than six decades of combined counseling, litigation, and trial experience to effectively help our clients. We are tenacious and have litigated and prevailed against large international firms. We don’t get overwhelmed. We have the endurance and perseverance to go toe-to-toe to the end. We have practiced in Silicon Valley our entire careers, including tenures with international law firms. We have a deep appreciation for the creativity, inventiveness, and entrepreneurship that have made this region known throughout the world. We bring the same intensity, focus, and craftsmanship to our work whether our client is a large public company, a small business, or an individual. Our attorneys have big firm experience and training. We take a practical approach to help clients and handle cases from pre-suit negotiation through trial and appeal. What you should expect from us is extensive use of our litigation and trial skills, legal knowledge, and counseling experience. We strive for an enduring partnership and a personal commitment to resolving legal problems for our clients. It’s pretty simple – you as a client come first. Individually and collectively, we believe “personal service” is more than just a slogan. We are here in partnership to focus on your legal concerns and help you resolve them in the most effective way possible. We return calls and emails, keep you in the loop, and make sure you are involved in the big decisions. Our practice is founded on long-term and meaningful relationships with clients and in the legal community based on reciprocity, professionalism and the highest standards of ethics. We fight hard but play fair, and our client’s get the benefit of the firm’s reputation for tenacity, excellent work product, and professionalism. It’s pretty simple – you as a client come first. Individually and collectively, we’re here in partnership to focus on your legal concerns and help you resolve them in the most effective way possible. What you should expect from us is the full use of our skills, the breadth of our knowledge, the depth of our experience, and an enduring commitment with a personal commitment for resolution. Our practice is founded on nurturing long-term and meaningful relationships based on reciprocity, professionalism, and standards of ethics. 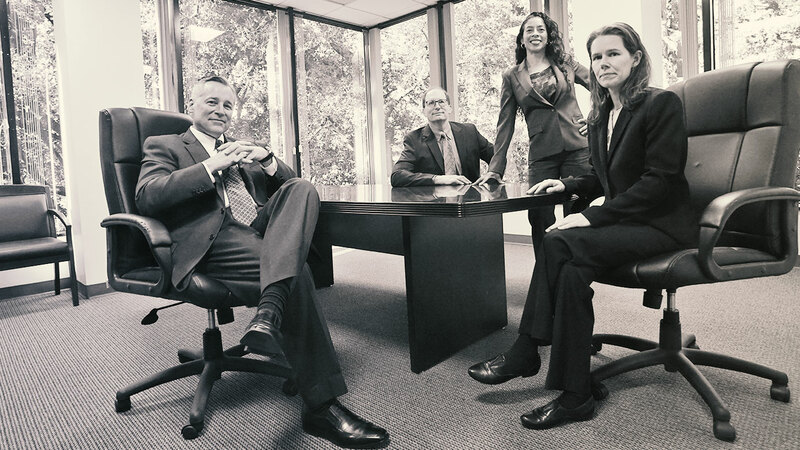 From emerging leaders in biotech to innovators in high tech, to enterprising giants, to founders, executives and individuals, our best-in-class legal team helps clients – effectively and efficiently – in matters involving IP and other business disputes. We have earned the reputation as the go-to law firm amongst our peers and clients alike because we are agile, we bring clarity, we invest in our relationships, and get results. Our practice focuses on intellectual property (patent, trade secret, trademark, and copyright,) business, and technology cases and legal matters, but our skills and experience apply to a wide range of legal challenges. Protecting the rights of creators of original works, from literature to industrial inventions and technological innovations. Miclean Gleason LLP has an extensive record of successful litigation, trial, and dispute resolution experience in this area. Tackling commercial and technology matters involving internal and external business disputes, breaches of contract, fraud, failed joint ventures or technology implementations, discrimination, defamation and trade disparagement, breach of fiduciary duty, partnership disputes/break-ups, and employment and employment mobility.